Make It Handmade: Happy Rakhi! I just wanted to drop in and wish everyone a very, very, happy Rakhi! Even if you don't celebrate, I hope you'll take the day to visit with your siblings. There's been a bit of confusion in our house as to whether Rakhi is 'officially' today or tomorrow, so I guess we have two days to celebrate this year. If you want to see a little bit about how we celebrate... here are a few of my favorite links. 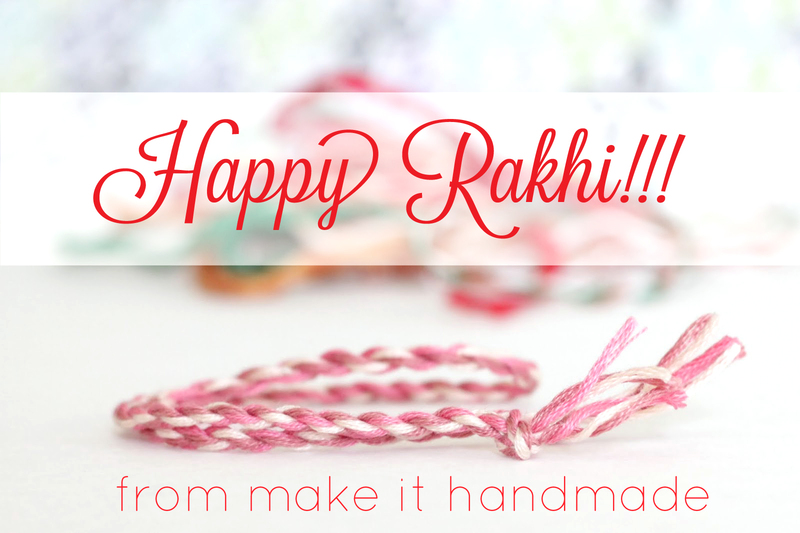 Make Your Own Rakhi DIY Tutorial! We will do our ceremony later this week so our family can be there. The kids are so excited (mostly about teh food, I think). I'm surprised at how much they remember from last year; and Ishaan has been bugging us to take him to get a gift. So proud! I'm going to share pictures next week (or maybe over the weekend if I can't wait) so keep an eye out!